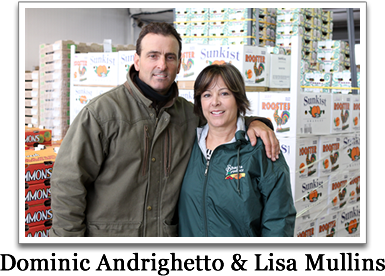 We're a Family Owned Company with three generations of the Andrighetto Family leading the way! We've helped Shasta Produce prosper as a leader among Northern California produce distributors—based on a family tradition of loyalty to customers and partnerships with farmers and growers that span generations. 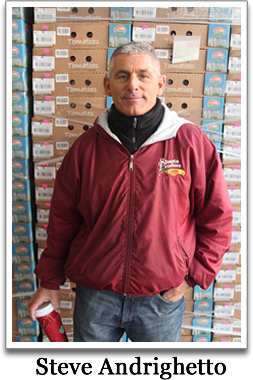 Over the years Shasta has grown to employ six dozen professionals with expertise in every aspect of the produce industry. The company occupies 18 of the 73 wholesale bays at the sprawling Golden Gate Produce Market, located near San Francisco International Airport and among the most dynamic distribution centers of its kind on the West Coast. To complement its open market activities and fruit and vegetable export business, it also maintains a state-of-the-art, 55,000 square foot distribution warehouse. On any given night, dozens of big-rigs filled with an endless variety of bulk wholesale produce roll up to its stalls from farms and orchards throughout California and beyond. The company also maintains a presence at the San Francisco Produce Market, aswell as the smaller and more historic, Oakland Produce Market. While growing leaps and bounds, Shasta remains firmly rooted in the Andrighetto family tradition. 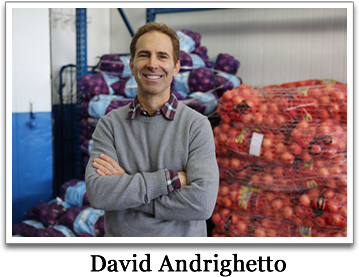 The Andrighetto name has long been synonymous with integrity and service in Northern California produce circles from the time family patriarch Guido Andrighetto and his wife, Luiga, emigrated from the fertile Dolomite mountain foothills of Northern Italy six decades ago. 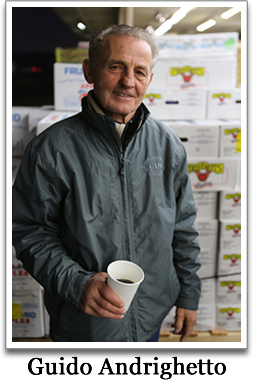 Guido began work with his brother, Bruno, in San Francisco’s produce market in the 1950s. From an early age, David and his brothers Steve and Dominic grew up tagging along with their father, working summers at the market and getting to know growers in California’s fields and orchards. They also learned what it takes to move quality produce in the most efficient way possible to ensure that their customers and consumers of their produce benefit from farm-fresh goodness. Although he no longer pulls all-nighters on the market floor, Guido remains a fixture at Shasta, working alongside his children since 1989—long enough to see a new generation of the Andrighetto's embrace the family heritage.